Online planning of trade fair appearances, execution of logistics and assembly and evaluation of performance. Holistic digital event management for agility and scalability of your live communication. 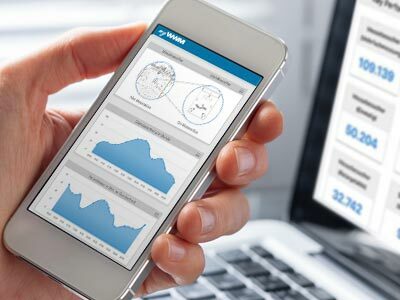 Recording your visitor flows automatically, measuring visitor frequency, uncovering visitor behaviour and optimising your trade fair appearances in a targeted, sustainable and successful manner with Event Metrics. Design your trade fair stands in 3D, save designs, present the look and feel and order directly online. With your own exhibition systems or free rental systems, own graphics and a wide range of rental furniture assortment. Plan trade fair appearances online with free trade fair rental systems and design and order trade fair stands in 3D. 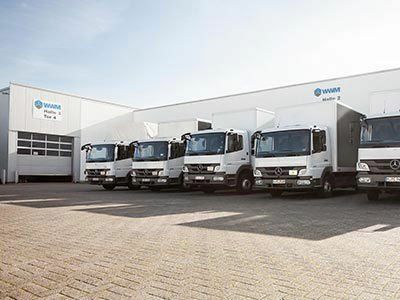 Event logistics, exhibition stand assembly and dismantling, advertising material and exhibition catering can be easily booked online with myWWM. Analyze all fair expenses and budgets, whether 5 or 500 events per year. myWWM offers a GDPR-compliant visitor measurement and KPI-based evaluation of the visitor flows. With myWWM you can create your trade fair stand at the push of a button, order all trade fair services online and evaluate your live communication performance as in online marketing. In short, myWWM stands for the holistic digitalisation of your live marketing. With myWWM you digitize your event management in a process optimized, measurable, scalable and sustainable way. The orgnisation of trade show apperances with myWWM is process-optimized which reduces the planning time per event by up to 75%. Transparent information for all stakeholders and the certainty that all services will run according to your scheduled plan. For control purposes, you have access to the myWWM portal at any time and from anywhere. You can see the overall availability, from advertising material and trade fair systems to your trade fair graphics, and the current status of your live communication projects. Learn more about myWWM in your personal live demo. myWWM is based on the learned and digitally optimized processes of event planning. Plan and execute trade fair appearances and measure their success. 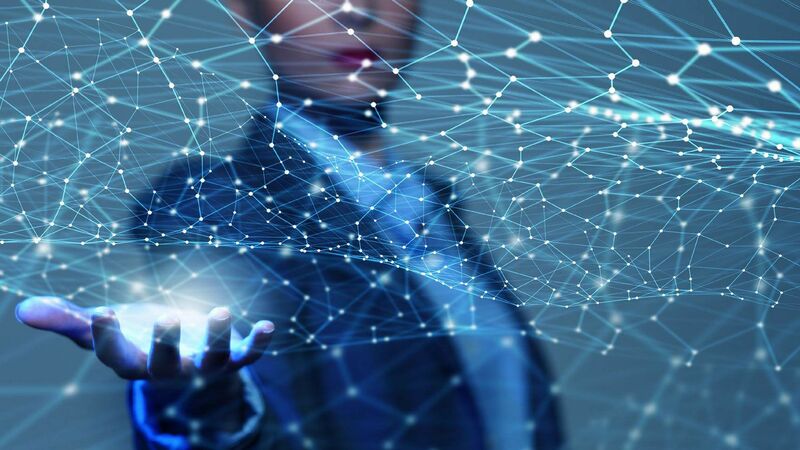 The evaluation of the performance of your live communication reveals optimization potential, which flows into the renewed planning. With myWWM you bring your live-marketing into a continuous improvement process and digitization to more success. 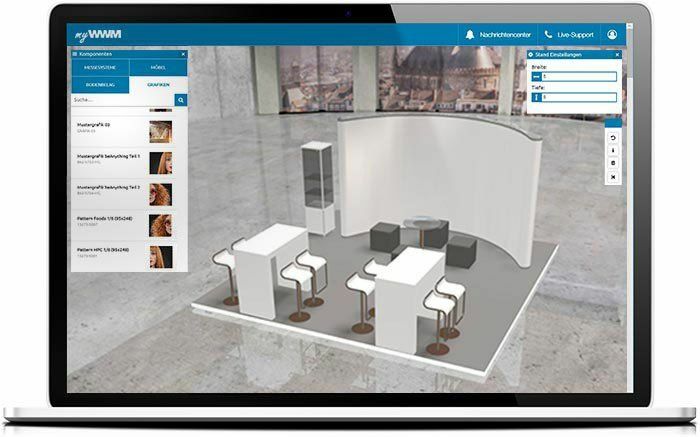 Plan exhibition stands online in 3D with free rental systems, your own exhibits and trade fair graphics. Logistics, assembly, hospitality and advertising material can be booked directly and ordered online. Europe-wide event logistics, trade fair assembly service and handling of advertising materials at a fixed price. 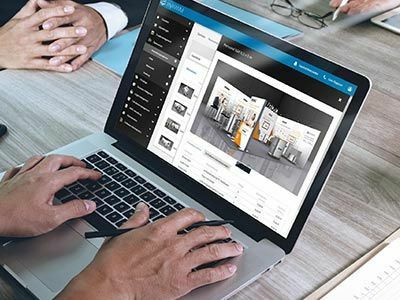 Software-controlled warehouse management for your own trade fair equipment and rental systems, as well as large-format trade fair printing from a single source. KPIs as in online marketing - whether visitor flows at the trade fair stand or the time spent at exhibits. From cost distribution to integrated quality management - myWWM makes live communication measurable and transparent. With Event Metrics sensors, we record the number of visitors on and around your exhibition stand, individual areas and exhibits. All key performance indicators on visitor frequency and visitor behaviour are available to you. 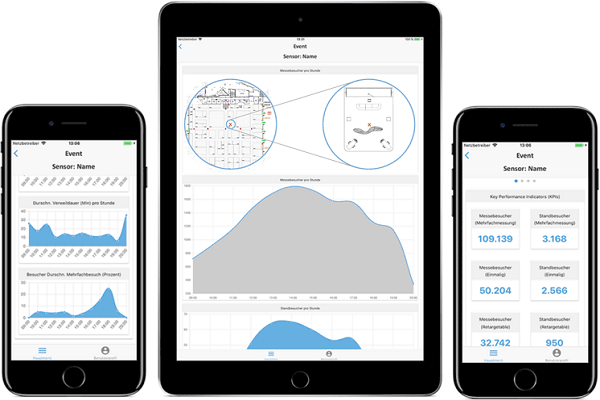 Displayed on mobile devices the Insights App in real time as well as to your desktop workstations. 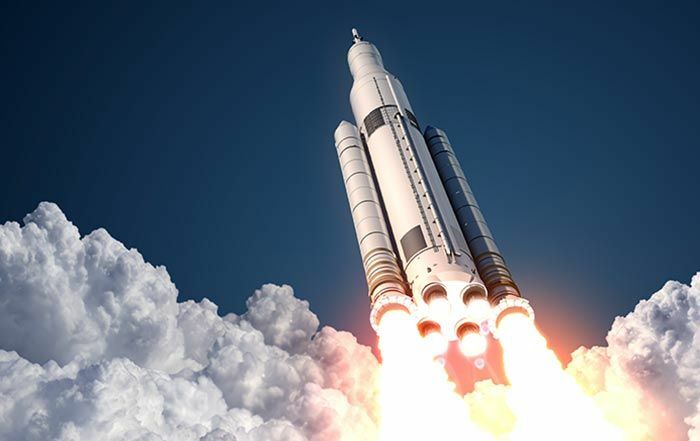 As with Google Analytics in online marketing, you can benchmark the performance data of your events. Plan and design your trade fair stand online. Use the free exhibition rental systems or your own exhibition equipment. Take advantage of our extensive portfolio of supplier-independent rental furniture. Use your own trade fair graphics for previewing the look and feel and present the trade fair stand to all stakeholders. No more time-consuming and costly changes to renderings. All drafts can be saved and imported into the myWWM order process at the push of a button. Exhibition stand by mouse click. We appreciate the professional warehouse management and the associated logistics options for our equipment, as well as the outstanding customer service. 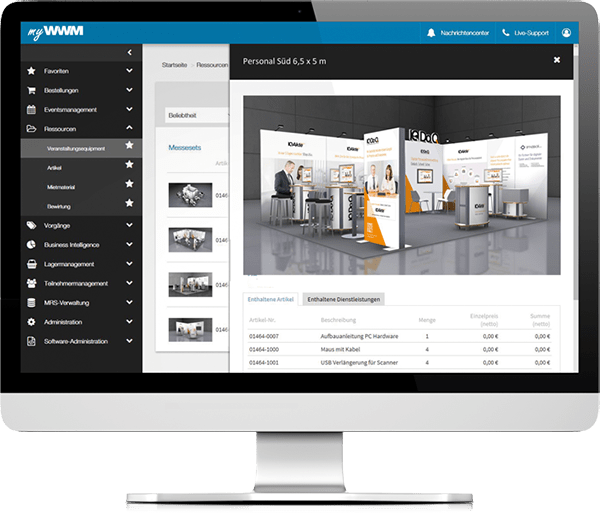 The planning and organisation of our trade fairs, in particular the dispatch of advertising material and PoS material, is made much easier with myWWM. We can combine our own equipment with rental equipment and use the solution in a standardized way at several events per year. Thanks to myWWM, we can plan and order our trade fair presence simply and efficiently from anywhere. Since we have been using LEDskin®, we have been able to digitally design our company presentation in live communication. Quality at the highest level is immensely important for our brand presence, which is why we chose the myWWM solution. daily give their best. The whole WWM crew feels responsible for the successful of your live communication. are ordered online and executed by us - annually. myWWM is optimized and digitized event management. for live communication on demand and the sustainable, digitally controlled success of your live marketing. The English version of the new WWM website is not ready yet. We apologize for any inconvenience. Please feel free to contact us: +49 (0) 2472 - 9910-80.